This mid-sized Tornado BR 18/11 walk behind floor scrubber is constructed with a tough roto-molded polyethylene body. You'll get years of maximum performance and reliability, while experiencing minimal machine down-time. The wide-open clam-shell design allows for fast and easy access to tanks, batteries and motor. Tornado cylindrical brush units are designed for deep scrubbing with the use of little water and cleaning solution, making it an environmentally friendly cleaning option. They also operate at a whisper-quiet 67 dB, which is perfect for use in noise-sensitive facilities such as hospitals, schools, libraries, restaurants, retail shops, and more. Cylindrical brush technology delivers low moisture deep scrubbing through concentrated brush speeds of 1300 RPM. Cylindrical brush cleaning also provides 4-6 times more contact pressure than rotary brush scrubbing, handling any flat floor surface with ease, as well as more textured surfaces such as stone tile like slate, decorative paver bricks, and raised rubber flooring. 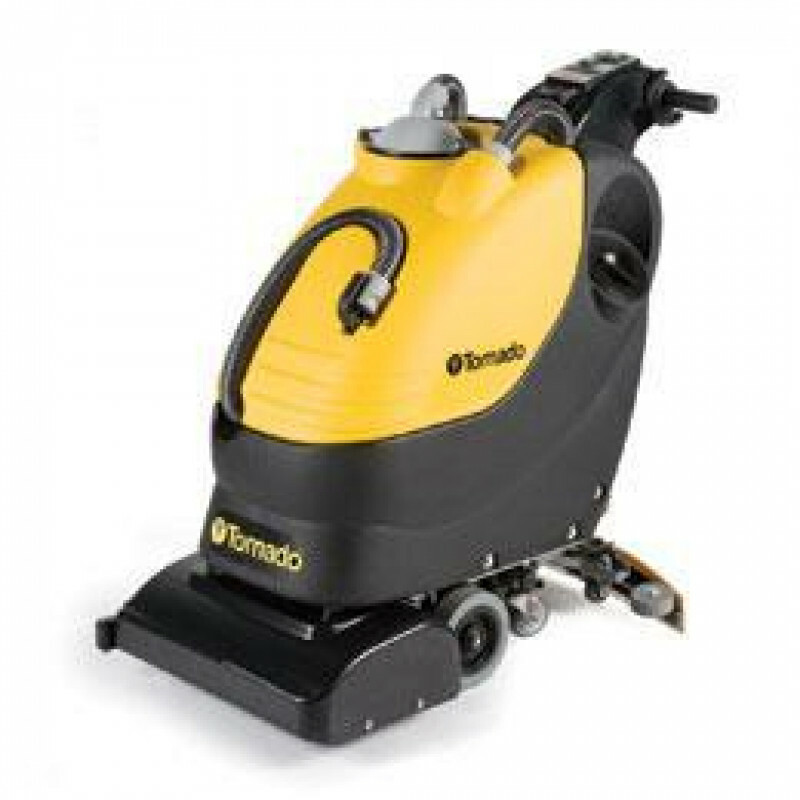 We also have many other walk behind floor scrubbers to choose from, some large and some small including more Tornado floor scrubbing machines. You're sure to find just the right machine!